Realistic Earth slowly rotating around its axis, seamless loop. The best realistic globe sequence on stock! 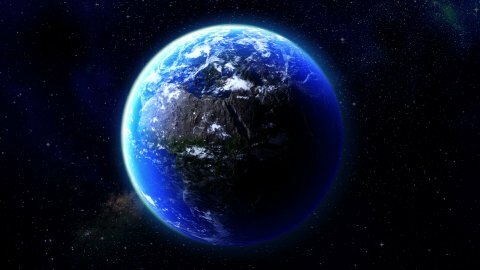 Realistic Earth. Slowly rotating Globe with night lights. Equator view.